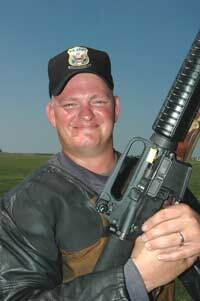 SFC Anderson poses for a picture after winning the 2005 President's Rifle Match. You know the guy, he’s still talking at the coffee jug when his preparation period begins, then his magazines aren’t loaded when the command “Stand” is given, and finally, he doesn’t know the rules when he argues with the block officer as his target comes up marked “9 and No.” Although this guy might be the highlight of the “after match” activities, he is the proverbial bad apple on the firing line. With this example fresh in your mind, let’s go over how not to be “that guy”. While the sport of Highpower shooting is a hobby for most, all are passionate about performance throughout the day. In order to achieve your maximum performance each and every day, it is essential that you conduct yourself as a professional competitor. As a competitor, you have a personal responsibility to know the course of fire as well as the rules and procedures that apply to it and to be prepared to follow them. Knowing this will not only make you a better competitor, but it will enable you to resolve situations with other targets besides your own. So what does all this mean? Follow along to see. 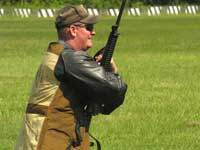 The CMP Rulebook is the official rulebook for service rifle and service pistol shooting; governs the conduct of all CMP events in the National Matches and other CMP sanctioned matches. Now, let’s discuss rules. As you have probably heard more than once, the rulebook is your best friend. Here is why. I can virtually guarantee that most competitors know some of the rules based only on the old “this is how we do it at home” adage. The funny part of that is, the same green NRA rulebook and orange CMP rulebooks are used to govern highpower matches all over the country. 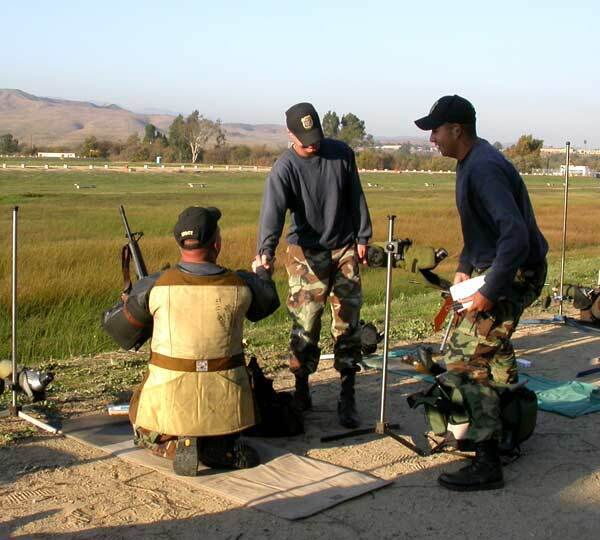 It is vital that all shooters be familiar with the rules as they are written, not with “how they are applied at home.” This creates consistency and continuity in how matches are conducted, from local club matches to state tournaments to National Championships. Knowledge is power when it comes to scoring targets under contention, what to do in the case of a malfunction, or even how to file a protest correctly. These rules are in place for a reason and it benefits everyone to both know and operate by these rules. SFC Anderson believes being prepared for a match involves approaching the firing line, knowing what you are about to do, being ready for what is going to happen (good or bad) and being ready for the results. 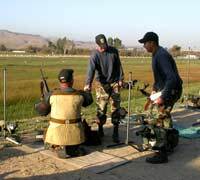 SFC Anderson shakes hands with his teammate, SGT Brandon Green, after a close finish for the 2005 Creedmoor Cup Championship.